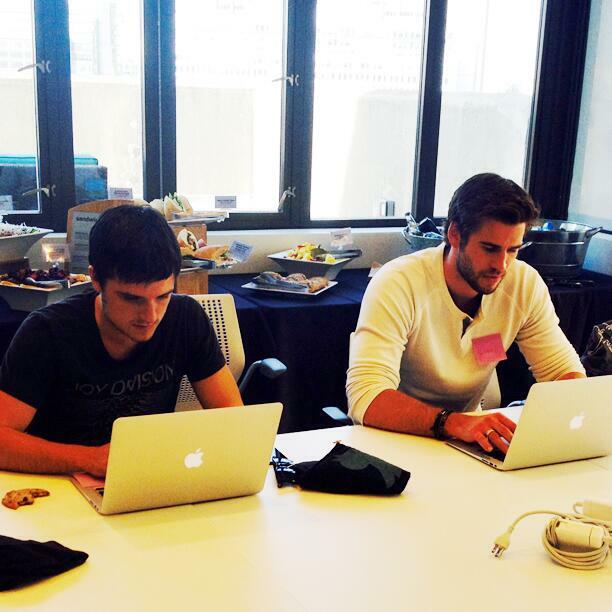 As part of the Global Fan Day celebration, Josh Hutcherson and Liam Hemsworth took over the official Twitter account for The Hunger Games (@TheHungerGames). During the half hour long Q+A, the pair answered fan submitted questions! Click here to read all the tweets on the full timeline!